3) Quality e-learning resources along with regular classroom teaching-learning sessions. (iii) Personal Interview (PI). These guidelines may get modified / subject to be modified depending upon AICTE or Government guidelines from time to time. Reservation of seats for OBC (Non Creamy) / SC / ST/Differently Abled persons as per Govt, of India rules. The Personal Interviews will be conducted at Pune and selected Centres during July 2019, subject to sufficient number of candidates opting for it. Demand draft in favour of “The Director, VAMNICOM, Pune”. 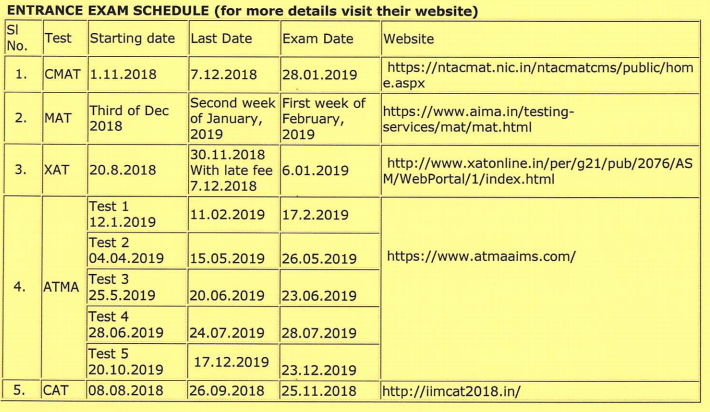 The prescribed application form may be downloaded from the VAMNICOM website or the link given below and applied with valid score of CAT/ MAT / XAT / ATMA / CMAT of AICTE by post along with demand draft in favour of “The Director, VAMNICOM, Pune”.